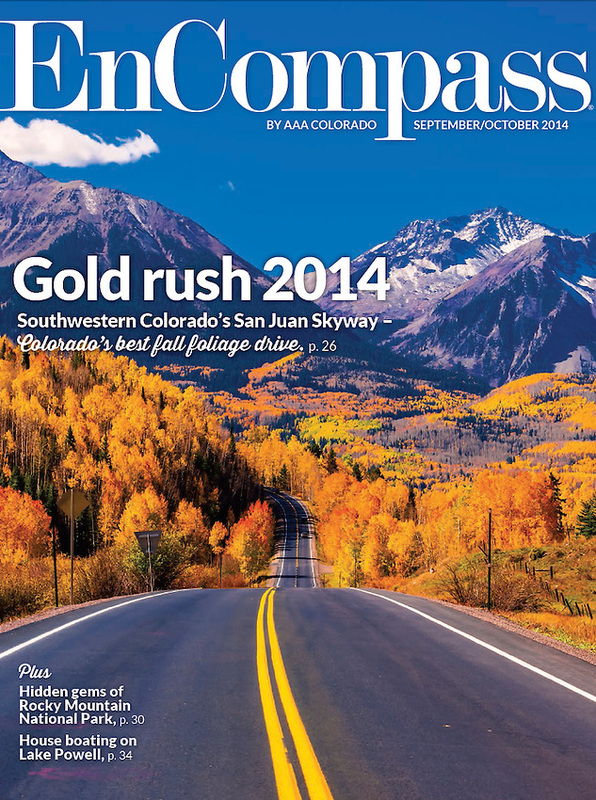 September/October 2014 cover of AAA EnCompass Magazine. Photo by Blaine Harrington III, shot near Telluride, Colorado USA. AAA, EnCompass, Cover, Colorado Highway 145, Fall color, Autumn, Road, Aspen trees, Fall foliage, San Juan Mountains, Telluride, Colorado, USA.